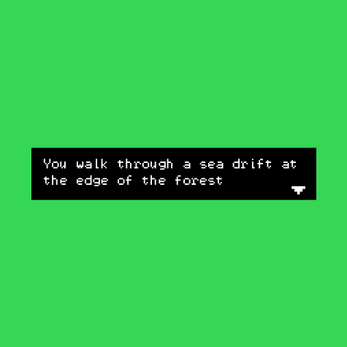 Named for a painting by Emily Carr, Sea drift at the edge of the forest is a pixel world to explore. Walk through the water, talk with the trees, pick up what you find on the forest floor. Find your way home.